Removing makeup is an important step in daily beauty routine. I am sure alot of girls agree with this. Of all the types of makeup removal I have tried, I always go back to the facial wipe type. They are human greatest creation! Super convenient, easily available and multi-purpose. Need I to say more? Do tell me which is your favourite! 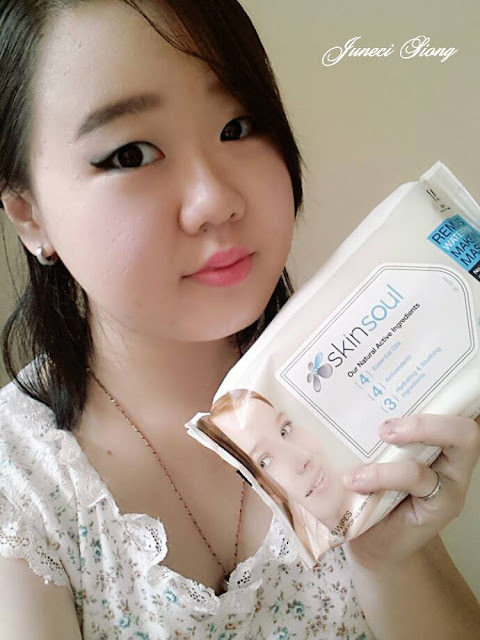 Today, I am going to review the Ultra-Soft Facial Towelettes, which is also known as Clinical Wipes from SkinSoul. 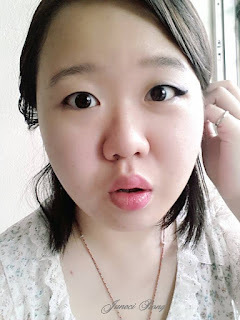 I actually noticed SkinSoul few years back with their renown Lash it Out mascara advertisement, but they were pretty quiet back then and the ads I saw was in Chinese, so I just let them pass. It was only recent that I came across SkinSoul physical store in MidValley Megamall and this gave me the ultimate opportunity to explore their products. Yeay! Contains 4 Essential Oils, 4 types of Antioxidant and 3 Hydrating and Soothing Ingredients. No artificial perfume, colour, harsh chemical and Paraben & Lanolin Free. Skin is kept fresh and moist through cleansing, hydration, smoothed and lifted after use. I felt the packaging is a little big, about twice the size of my usual facial wipe packaging size. This is because it contains 60 wipes about the size of half an A4 paper, in comparison with the usual 30's or lesser. 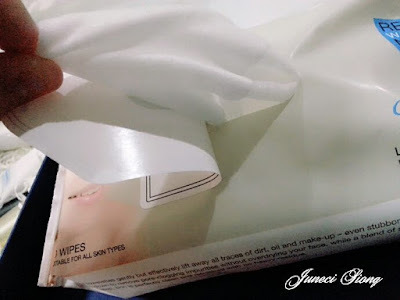 Texture wise is definitely thicker and more cotton-like than the normal wipes. Here is a tip for easy removal of makeup. 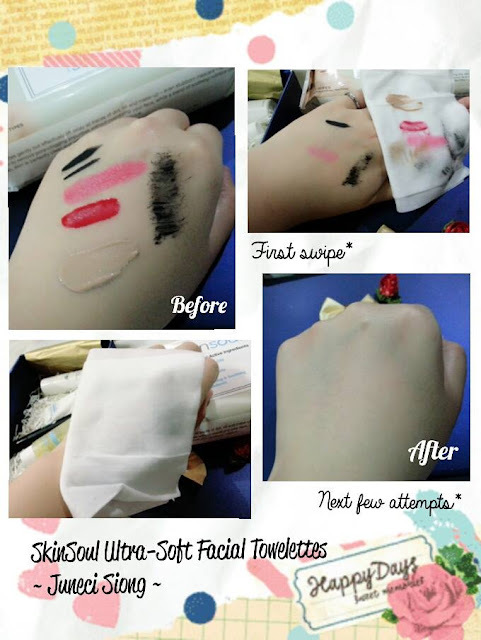 Press the towelette gently against your skin for 10-15 seconds to moisten up the makeup before removing it in one swipe. It works great for normal lipsticks, foundations and blushers. 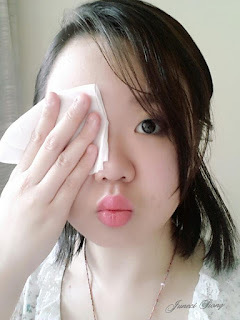 Although it takes a little more effort to remove tough makeups such as lip tints, mascara and gel eyeliners (I have always used waterproof eye products due to teary eyes), it is surprising that these wipes are able to remove them perfectly without the help of eyes and lips makeup remover. I am a little skeptical over leaving makeup residues because of my acne prone problems and with my baby face, certainly needed more than 1 piece. Pat for 10-15 seconds Left Makeup's off! The scent has a lovely mild flowery scent and I sure this is fine with people having sensitive nose or skin. Despite having some small amount of alcohol in it, they have toned it off with all the essential oils and hydrating & soothing ingredients such as Lavender oil and Aloe Vera extract. I am very surprised that my skin does not have the oily sensation post wipes, even with all the 4 Essentials oil inside! At the cost of RM53, I think the SkinSoul Ultra-Soft Facial Towelettes is worth our money-value. This product is available at all SkinSoul outlets. Here's some good news for you. Quote '#SSJuneci' the next time you walk into their outlet and redeem a skincare trial set with a minimal purchase of RM100. SkinSoul is founded by Dr Joanne Au Yong. They aim to be kind to the most sensitive skin while restoring your skin's soul through the miraculous power of nature. Their skincare and makeup range is trustable to be free from ingredients that is dangerous to health. Each and every product of SkinSoul is 100% Paraben-free and lead free guaranteed. Looking for Contact Lens? Why not, MrLens!